It amazes me. I’ve worked through some of the biggest revolutions in marketing since the printing press… email replaced direct mail… websites replaced catalogs… social media replaced… well, pretty much everything… and in spite of all these really amazing, cool technological changes, I still see marketers committing the most basic cardinal sin… they’re really excited about where they want to go but never take the time to figure out where they’re starting from. As a result their messages don't resonate with their audience. Would-be buyers don't believe their claims. Marketing fails. The root cause? Their strategies are all about positioning but silent on position (more on that below). How can you understand how to get where you want to be if you don’t know where you are? 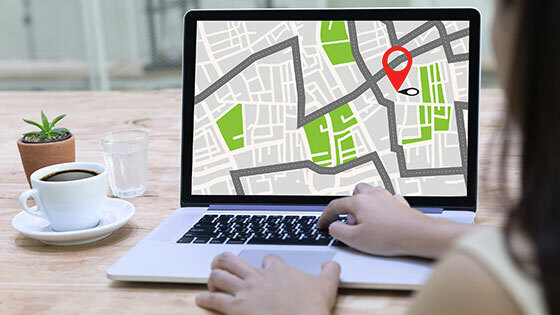 Marketing strategy should be like a GPS for business and marketers would do well to review just how to use a GPS to get where they're going. Want to start a conversation about your market position and positioning? Click Here. Google – if I Google them, who comes up? Who does Google think their competitors are? The website – does the website scream “small and struggling” or “established leader”? Social media – are people talking about them? Are there reviews? Is the conversation positive, negative? So it’s easier than ever for the people you want to start conversations with to have a preconceived notion of your position. If you don’t know how your audience has positioned you, how do you know what to say to engage them? Remember, our conversations as inbound marketers are about our audience, not about ourselves. For instance, if your position is small, struggling startup and you try to start a conversation about enterprise data solutions for the Fortune 100, your audience isn’t going to know how to process your messaging because Fortune 100 service provider and small struggling startup don’t go together. The gap is too large between your position and your positioning. It’d be like being in Boston and plugging in a destination of London into your GPS and trying to find a route by walking. It’s not that Boston and London are not both on the map… it’s that getting from Boston to London by walking isn’t going to happen. You need a different strategy. Side note: if you’re a startup, or an agency creating marketing strategy for a startup… or just a relative unknown… that’s not to say you shouldn’t cast an aggressive, exciting vision. You should. You must. But your vision should be about why you are doing what you are doing (see this great Ted Talk by Simon Sinek on inspirational leaders and the importance of why). If you want your audience to become invested in you, give them a good reason by telling them why you’re going to change the world. However, when it comes to your positioning, you’re position is still 'startup' or 'unknown'. You can’t change that with your magic marketing wand. So your positioning has to be focused, specific and concrete enough that your audience sees value today that justifies action. If all you've given them is the dream... they will just keep dreaming and won't act. How many times has that happened to you? Ouch. Some startups think they can get around this startup position by being stealth until they have enough customers to make themselves seem substantial. Having customers helps but as they say, if you haven’t seen it before, it’s new to you. Just popping on the scene all grown up raises its own set of questions so there really aren’t any shortcuts. Sell the dream but deliver specific value now and expand your value one step at a time to deliver on the dream. Remember, even Amazon.com started out selling books. So if you’re an agency working with startups, cast a broad vision about the “why” for your clients but make your positioning consistent with who you are… a company justifying its value in the market, right now... and rachet it up as your positioning anchors as a new position. Everyone you are marketing to has a position for you. A position isn’t good or bad. A position simply is. Why didn’t you consider the new C-class of Mercedes… because all Mercedes are absurdly expensive. Absurdly expensive is Mercedes' position. You don’t even have to do anything to evoke that position for the Mercedes brand from a prospect, even if the C class is 'affordable'. Why didn’t you consider the new Cadillac? Because I’m not old enough to own a Cadillac. The brand's position is that a Cadillac is an old person's car... and I know that just be looking at who's driving Cadillacs, regardless of what all the ads are trying to tell me. What's your position? Your brand may not have as entrenched a position as an automobile brand but your prospects will either already have a position for you or they will formulate one immediately based on the first impression you make on them…it’s the way our brains work… we evaluate differences. As soon as I hear your positioning, I need a position to use to evaluate it… if you have not provided one that makes sense, I’m going to make one up that does… see Google, the website, social media or just looking at other people on the roadway. So how do you move a product or service from position to positioning? That’s what campaigns are all about. Campaigns are your laboratory for your strategies to close the gap between position and positioning. Your campaign should be based on your position with the audience that you are targeting and a reasonable positioning claim… something more that you want your target to associate with your brand… a perception that you want to change, because by changing the perception with your prospect, the prospect is more accepting of your value proposition – which is your ultimate positioning. Another trendy name for this process is the buyer’s journey… but in reality what’s going on is the prospect is aligning with your positioning, one step at a time. By now it should be obvious that in order for this to work you need to know your position. Position is established by research… you ask people who bought, and people who didn’t buy, what they think of the important qualities of your value proposition to discover what perceptions exist and how they change over time and as a result of the educational content you promote. Positions can be influenced by the sales process, product features, competitors... and you should consider the impact of all these things on your position. Every campaign should start and end with a benchmark and the cost of that research should be baked into every proposal… because that research is what informs you and your client how well you are doing and what you’ll be doing next. Side note: Some people consider leads as a good proxy for benchmarking. They are not. Leads, or lead volume, only tells you who was moved to action by your campaign. They tell you nothing about who you didn't reach and why. Leads are important, but they are not the same as benchmarking. Benchmark, period. If you have campaigns that run continuously, you will want to set up regular benchmarking… i.e. every 90 days. It’s also clear what the marketer’s role is… as marketer, you verify the position, you define the positioning, you create content and creative, pushed or promoted through a channel to your audience, and you measure whether your positioning has taken hold and how effectively…. If so, it becomes your new position. As a quality of, a property of, your brand. Congratulations! You’ve moved the prospect closer to your value proposition. When enough of your positioning becomes anchored as position, the prospect is aligned with your value proposition and is ready to speak with sales (this alignment isn't different from the trendy dissucsssions about marketing and sales alignment, BTW). Now of course it’s not that simple. Markets are not as static as my example. There is competition that erodes your position and other factors to consider, but the core activity for marketing remains the same… to know position and have a strategy, content and social proof to influence the prospect to accept the positioning as the new position. So the next time you’re wondering what to do to help your client turn their marketing from fluffy, unjustifiable expense to measurable pragmatic business activity, start with position and let your marketing GPS (strategy) do the rest. Become a better inbound marketer by subscribing to the IMR blog. Learn to execute marketing better, faster, and easier, driving results and improving ROI. We publish two posts a week, written by 8 of the best inbound marketers in the business. Don’t miss out on these field-tested inbound marketing best practices. Enter your email here and we'll make sure that if we write it, you’ll get it. .